Google Chrome is one of the best browsers available in the market. It is fast and reliable and the icing on the cake is its extensive library of add-on’s that give it new and improved abilities ranging from helping you save money to storing your passwords for you. However, there are so many chrome extensions that are available in the Chrome Web Store that it is difficult to find out the extension that is actually useful for the user. In this list, we are going to select six of the most useful add-on’s that are a must-have for the users. You can manage your Chrome extensions by clicking on the menu icons in the upper right corner of your browser. Under menu select More Tools and click on Extensions. 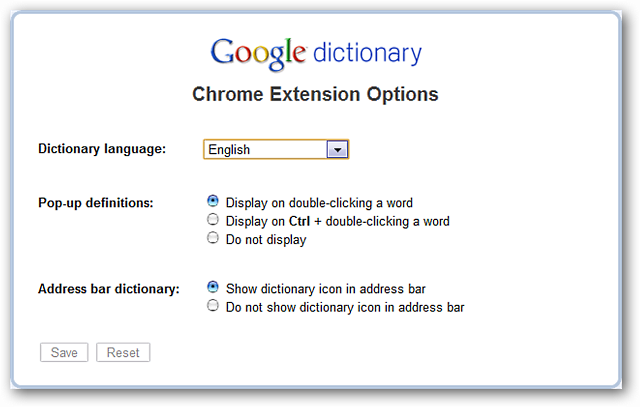 Here you can select, update and manage your Google Chrome Extensions. Security is one of the biggest concern when you are surfing the internet and the best way to figure out whether your connection with the website that you are visiting is secure or not is by looking out for “https” before the website’s name in your browser’s URL window. However, if you are visiting sites which are not secured using the HTTPS protocol, HTTPS Everywhere can help you with that. This chrome extension is created by Electronic Frontier Foundation (EFF) and the Tor Project and it automatically switches the insecure HTTP protocol to HTTPS for thousands of sites thereby protecting you by removing any concern related to illegal surveillance and account hijacking. The Internet is a place full of distractions like Facebook, Twitter, and those endless news articles. These distractions can really come in the way of getting some work done especially when your whole job is sitting in front of the computer all day. 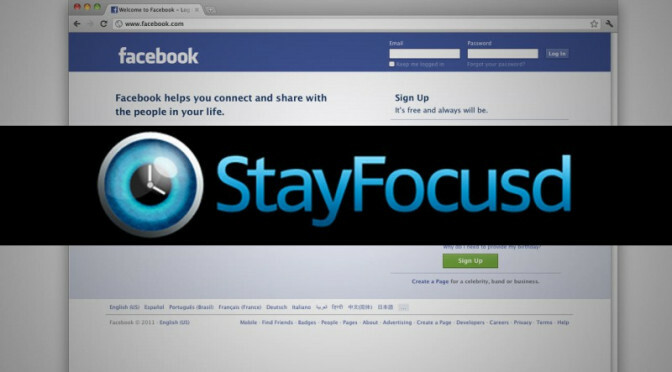 Stay Focusd is made to avoid those distractions or put a limit on their use. This extension allows you to put a certain time limit on websites, with 10 minutes being the default time restriction. We all know how important it is to have a secure password but sometimes complicated passwords like “[email protected]#4” are very difficult to remember which sometimes compels us to keep passwords like “123456”. With LastPass, you just have to remember only one password of an encrypted vault that will store all the other passwords for various websites and can fill those passwords into the web forms whenever and wherever required. Apart from keeping your login details in one place, it can also create strong passwords for you and save them in the vault. There is no need to add all of your username and passwords to the database manually, the extension will save it whenever you log in to an account. While surfing the internet you may come across some interesting articles or news that you want to read but don’t have the time for, in such cases, Evernote Web Clipper comes in as a very handy tool. When you come across something that you want to read, click on the elephant icon and Evernote will let you store the entire article in a simplified version, without pictures or formatting, you can even store a screenshot or just a bookmark. You are also given the option to select which notebook your saved article should be clipped into, tags and notes can also be added. To access the saved clippings, just log into your account on Evernote.com or use the Web app. There is no one in the world who doesn’t love discounts but when buying something, it is a real headache to look out for that one genuine coupon code that works for that product. Well, to free you from that stress, Google Chrome has an extension called Honey. Check out our review for the Honey Chrome Extension. 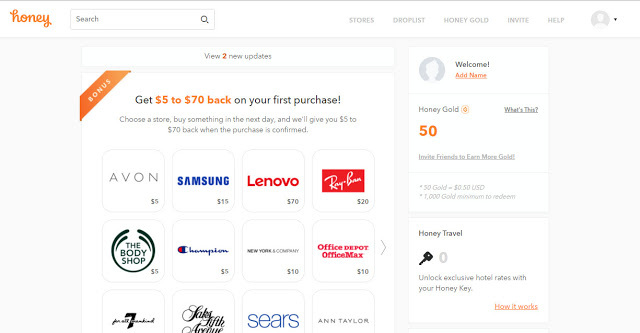 After installing the extension, just click on Honey Button during checkout and a list of coupons and codes will appear alongside your shopping cart. It works with a lot of shopping sites like Amazon, Victoria’s Secret, Macy’s, etc. For an extension to be useful it has to be secure and should not slow down the browser that you are using. These extensions are really useful for the users, but these are not the only available extensions out there, you can experiment with a loads of other extensions as per your need, but do tell us about any other extension that you found useful and don’t forget to share the article with your friends and family, telling them about the 6 Best Google Chrome Extensions.